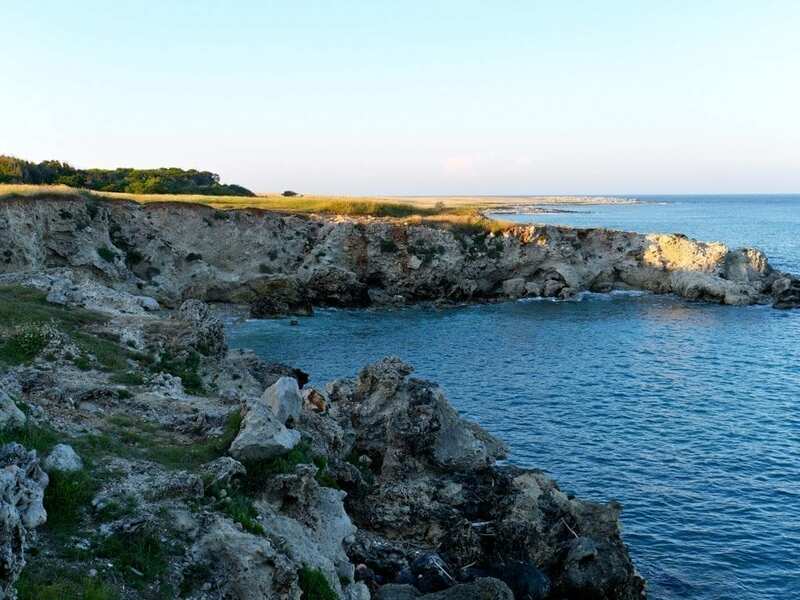 Slightly past the port of Otranto is a place of outstanding beauty, where the crystal blue sea mingles with lush green vegetation and red ocher-rich clay: This area is known as Baia delle Orte. 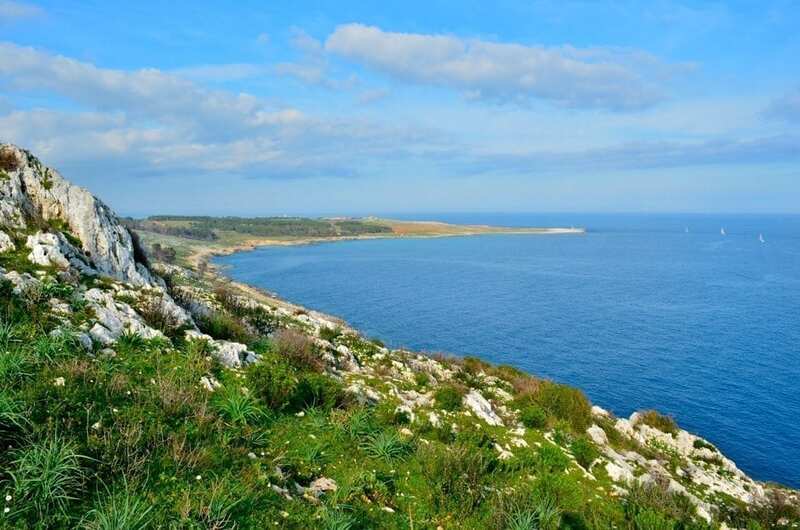 Baia delle Orte is accessible from two main roads. While driving along the largest of the main roads, tourists can visit Lago di Bauxite, a natural lake formed in the center of a quarry, the result of years of bauxite extraction (a practice that villagers have now abandoned). The bauxite quarry was discovered in the 40’s and was active from 1960 to 1976. Miners searched for the precious bauxite, which was cleaned and then shipped out to Marghera from the busy port of Otranto. After the quarry was abandoned in 1976, a small lake (diameter of about 100 meters and a depth of about 25 meters) was formed from the shallow groundwater. 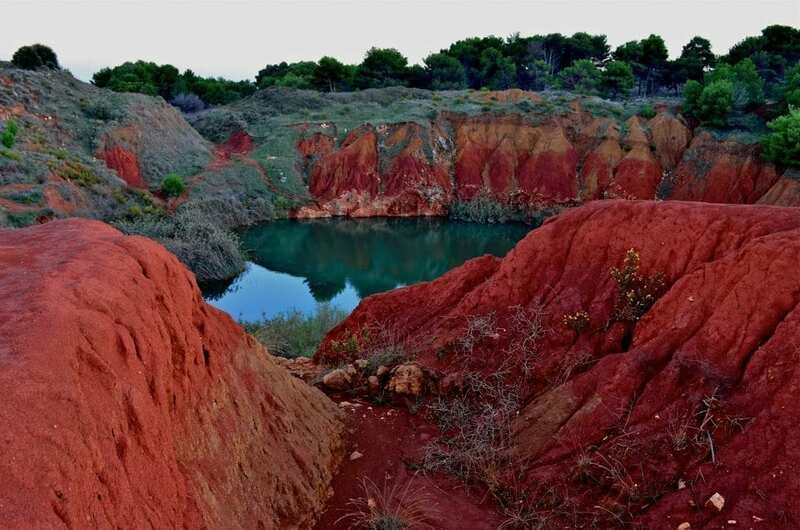 The presence of bauxite paints the surrounding waters a dazzling emerald green color, which contrasts with the deep red clay walls along the quarry. The hollowed-out sections of the lake are surrounded by pine wood and lush Mediterranean flowers. The second entrance leading to Baia delle Orte passes through a fortified farmhouse dating back to the sixteenth century. This farmhouse was once used to protect villagers from pirates.